As you can see, it isn’t just another slot machine, especially because of the insane ways-to-win system developers somehow implemented into it. The game will be presented to the world by the people from LeoVegas Casino. They also promoted it through Twitch – a live streaming service – with Kim Hultman (some of you might know him by his username LetsGiveItASpin). He has well over 22 thousand followers, and although not all of them were watching the promotional live stream, he left the VOD (video on demand) up, allowing you to go to his channel and watch the entire gameplay of the brand new Who Wants To Be A Millionaire slot machine. You can play the game only at LeoVegas until November 28, when Microgaming and Scientific Gaming are simultaneously launching it; after that, it will hit the wider market. 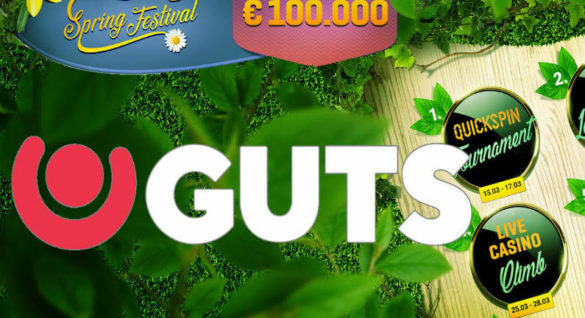 The game was developed by BTG (Big Time Gaming) and represents a massive success to the company. The licence had to be obtained directly from Sony Pictures Television, and everyone included in this business knows just how hard that can be achieved, especially when dozens of other established and reputable studios are applying for the same licence as well. 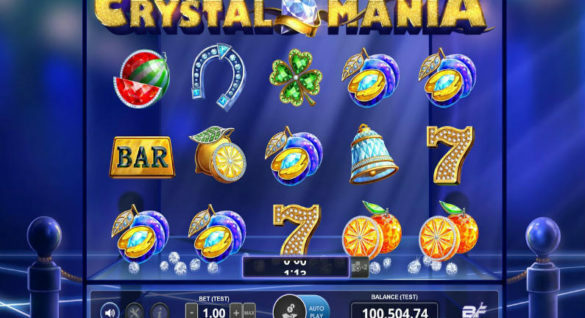 Free Spins, Reactions, Special Symbols and More! We have seen companies trying to make games based on TV shows they couldn’t get the licence for, and it never looked good. It always turned out to be just another rushed slot game, with minor details reminding us of a certain show. However, when the software development studio has a full licence, as Big Time Gaming had this time, failure is not an option. First of all, we can see the well-known scenery in the background where the host and the contestant used to sit. The animated Millionaire logo is constantly spinning in the top right corner, but the spinning is slow enough so that it does not distract players from the reels. BTG decided to go with the good old card values and gems, although the design is 100% unique. You’ll need to connect at least three of a kind to get something in return at the end of the spin. The purple gem is the most valuable symbol in the game, and you only need two of them to win double of what you bet. Don’t let the structure confuse you – up to six symbols of a kind can be matched in one round. Once the connecting and matching animation is over, all of the winning symbols will disappear, making space for new ones to come. There are two special symbols available. The first one is the Wild Card that can be matched with any regular symbol on the reels. In a game such as this one where there are thousands of ways to win, the Wild becomes even more valuable. The other is the Scatter, which is represented by the well-known Millionaire logo. The Reactions is the new name for Tumbling Reels, as it presents completely the same feature. It does have a really cool animation every time a winning combination occurs, and what’s even more fun is that there is no limit to how many times this can happen. At this point, the additional row at the bottom that we mentioned earlier becomes extremely important and interesting. Free Spin Scatters can appear only on the four available reels in the bonus row and will award 4 or 8 free spins in case 3 or 4 Scatters land respectively. Gamblers seem to like immersive features, which is why BTG implemented an Infinite Multiplier feature during the Free spins. In other words, as long as there are chain reactions during the Free spin, the multiplier will keep going up, until there are no more reactions. In theory, this could go forever. The game couldn’t be made without the famous question ladder. The developers and designers wisely put the Free spins (0 to 50) in the ladder and created a Gamble feature. Each time Scatters align and activate the Free spins feature, you’ll get the chance to either start the rolls right away, without gambling (in case you got 4 Scatters), or you could try and increase that number, all the way up to 50. Missing the first one or two will get you to zero, and you will miss the opportunity to play a couple of spins for free at the same stake that activated the feature. However, there are two safe points on the ladder at 10 and 20 spins. These are like the guaranteed amounts in the quiz, which you would get even if you answered incorrectly later on. The orange light will blink between two values, and the goal is to press the Stop button at the right time and move up the ladder. Although luck is the most important factor here, practice makes it perfect, so make sure to take your time and try getting it right each time you get the chance to play. Do not be greedy though, but push your luck every once in a while. We recommend doing it with demo credits at first. We haven’t seen many hyped and high-quality releases in the online gambling industry this year, which is why getting something like this on the market put a smile on everyone’s face. The game has over 100 thousand ways to make a winning combination, an RTP of 96.27%, and comes with a bit of nostalgia because of the quiz we all loved. Play the game for free at LeoVegas Casino, experience all segments of the machine yourself and try to pick the right answer in the Hot Seat Free Spins Gamble feature!